Learn how to set boundaries based on what matters to you, not others. Discover where your "no go" zones are, and how to communicate this to others without anticipation. Practice setting boundaries, learning how to ask for help, trying something different...with our non-judgemental horses and our guidance . Individual and group programs, facilitated and designed to meet your needs. 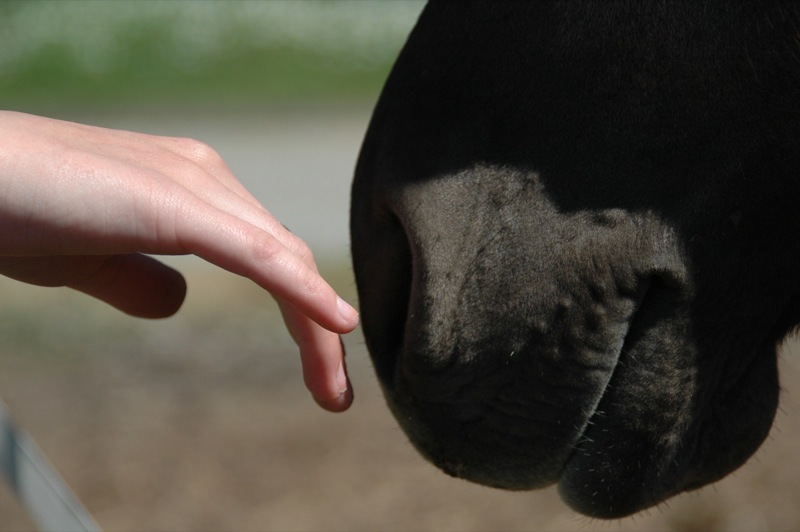 Work with our carefully selected herd of horses to set clear boundaries, connect in the present and refine non-verbal communication skills through interactions with our horses. We can design a one time experiential session or a series of sessions to specifically meet your goals. For more information please see our separate page titled "Transitions as Thresholds". Get out of the arena, and into nature. Learn at your own pace, and refine your riding skills in a cross country environment. Challenge your balance through riding over terrain, learn trail safety and how to ride at a variety of paces and speeds, from enjoying your ride at the walk to the thrill of a gallop across an open field.